A new local history book reveals the intriguing characters and accomplished citizens who have made the Southern Berkshires such a wonderful place. 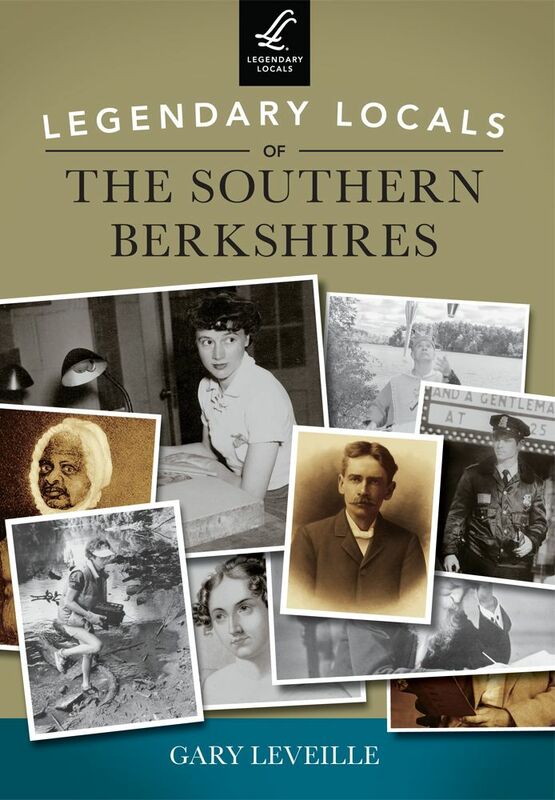 Legendary Locals of the Southern Berkshires shares the stories of unique individuals, past and present, who have had a lasting impact on the community, the nation and the world. Vintage images coupled with stories and anecdotes researched by local author Gary Leveille provide a fascinating history of the area. “Southern Berkshire County is a magical place. Some call it paradise. The special synergy that exists here between people and place has inspired remarkable residents for centuries,” said author Gary Leveille. The book describes fascinating folks from Great Barrington, Stockbridge, West Stockbridge, Sheffield, Alford, Egremont, Mt. Washington, Monterey, New Marlboro, Otis, Tyringham and Sandisfield. “The Southern Berkshires are blessed with a superb selection of remarkable residents, past and present,” Leveille said. Author Gary Leveille is a writer, editor, educator, photographer, and local historian who resides in the Southern Berkshires. He has written several other books, most recently the best-selling Old Route 7: Along the Berkshire Highway, Around Great Barrington, and Eye of Shawenon, an Egremont history.